Special - Save up to 40%! 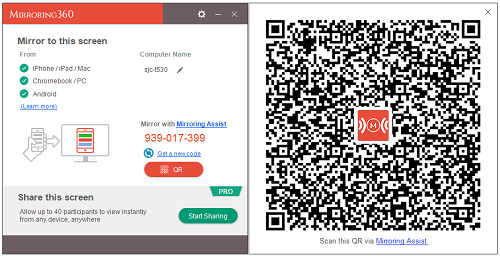 Use Mirroring360 to wirelessly mirror & record your Chromebook, iPad, iPhone, Android, Windows, and Mac screens to your PC or Mac without the need for hardware or cables. With new Mirroring360 Pro, you can also broadcast your computer screen to up to 40 participants and they can view on their devices with a simple web link. Mirroring360 is also iOS 12 ready! Prices below reflect the discounts. Get a large deployment license with easy .msi installation and the ability to transfer licenses between computers. 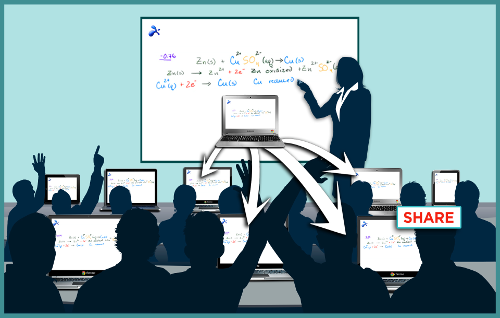 Make Mirroring360 available across your entire school/district, company or enterprise. 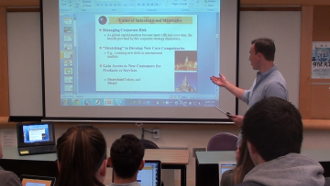 "Splashtop’s Mirroring360 allows us to leverage our existing investment in classroom technology by wirelessly mirroring of our fleet of iPads to classroom displays. Using Mirroring360 in an instructional setting has shown a direct increase in engagement among our students. Its ease of use and low cost will allow us to make this available in every classroom in a responsible and cost effective way." "With limited classroom budgets we cannot afford to give each student an iPad. 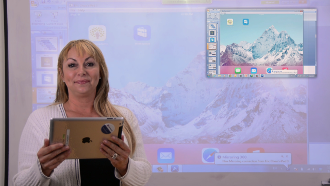 By using Splashtop Mirroring360 I am able to share some of the great educational apps that I have on my iPad. Not only can we can pass it around the room no matter where the student is seated, but we can also play educational games using different groups of students on each team. Love it!" "I wanted to share my Chromebook screen with student PCs. Simple, right? Not so fast. Most choices proved to be unreliable, or incompatible. 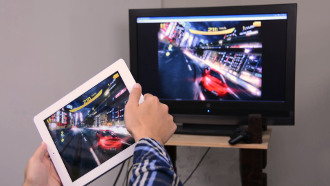 Mirroring360 is the best solution I have found to wirelessly share a Chromebook, iPad, or iPhone screen with any PC or Mac … I’ll pay out of my own pocket if I must!" "I needed a way to mirror my iPhone and Android phones on my Mac computer. My experience was so bad I was expecting Mirroring360 to be a similar disappointment. To my absolute delight it not only did what I wanted, it exceeded all my expectations. Congratulations on a fantastic product." Fred Dawber - President, Cansec Systems Ltd.